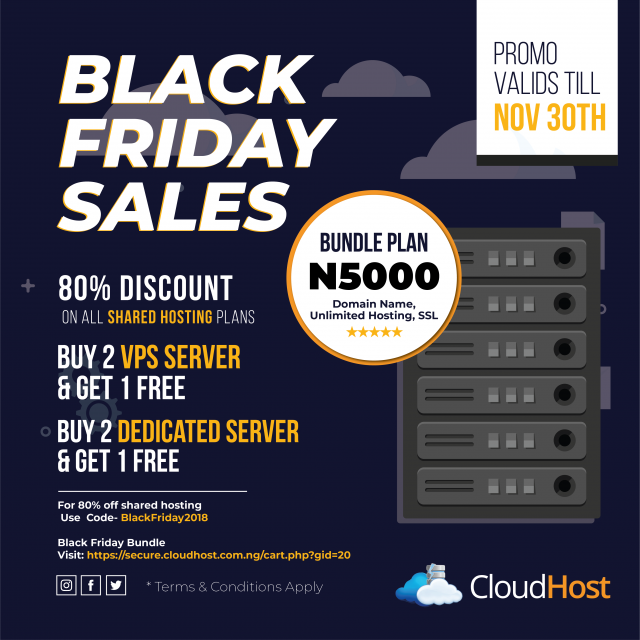 Cloudhost special black Friday offer, is one you don’t want to miss. This offer is valid for all new and existing customers. So you don’t have to worry about anything. Why wait till black Friday before getting to know what you stand to benefit or gain from this hot deals. Click here to enjoy these deals now and don’t forget to use the coupon codes while checking out (Black Friday 2018). Exciting isn’t it, all of these are up for grabs. Just visit our website to get more information or call 234 809 12345 08, +1 352-559-2355 or chat us and enjoy all of these deals. Do not miss out on these great offers while it last.